Light and bright turn-key Cape Cod in high demand East Harriet neighborhood. Stunning upper level master suite with a custom 3/4 bath and skylights make this bedroom amazing. The main level boasts a large kitchen and a four season sunroom to enjoy all year long. The lower level has a family room, office and an abundance of storage. High efficiency furnance, central air, and newer windows along with a 2 car garage complete this fabulous home. Located near Lake Harriet, many parks, popular restaurants, coffee shops and much more. I was searching for a Property and found this listing (MLS #5197227). I would like to schedule a showing for 4237 Aldrich Avenue S Minneapolis, MN 55409. Thank you! I was searching for a Property and found this listing (MLS #5197227). Please send me more information regarding 4237 Aldrich Avenue S Minneapolis, MN 55409. Thank you! 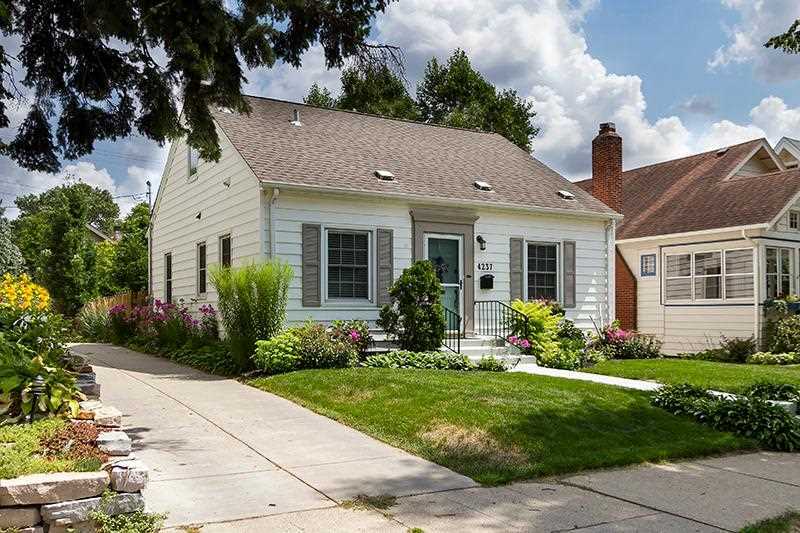 MLS® 5197227: This property at 4237 Aldrich Avenue S, Minneapolis, MN 55409 is located in the East Harriet subdivision and is listed for $399,900. MLS® 5197227 has been on the market for 39 days.